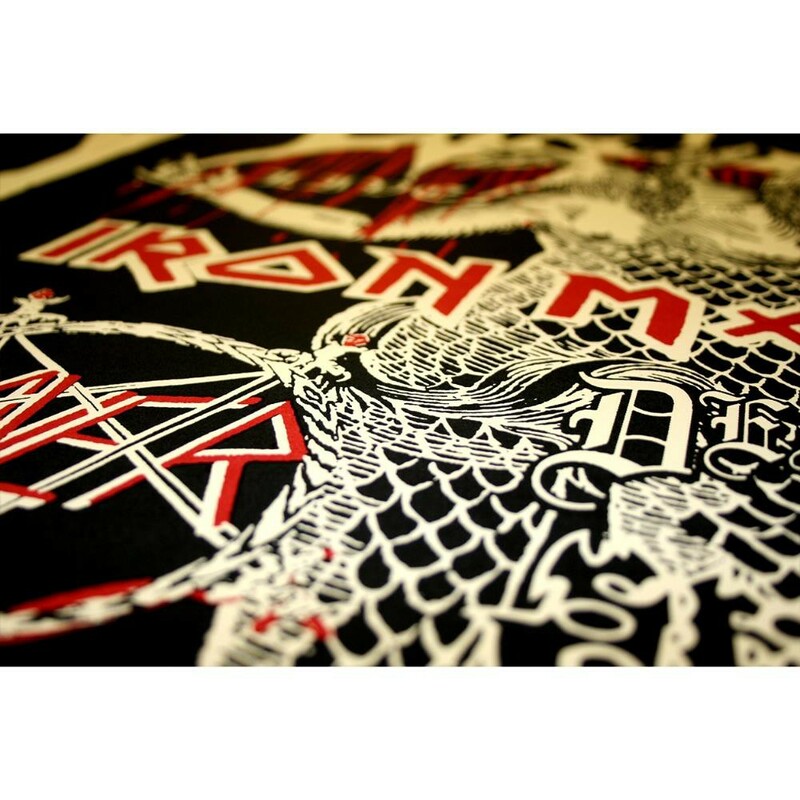 The Watain poster series consists of 10 individual Watain posters created by Erik Danielsson / Trident Arts for Watain concerts between 2010 and 2015. Previously only used for online purposes, this is the first time these posters are printed in large, physical format. 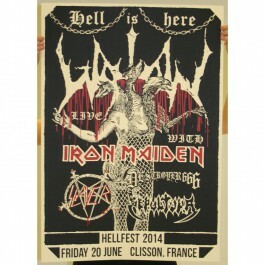 Erik comments: "Every time Watain has been booked for a festival I have made a unique artwork piece for the event, both out of need (since festival posters always look horrible) and out of the will to underline the graphical essence of Watain. I have also taken the liberty to only feature bands from these festival line ups that Watain has something to do with in one way or another, bands that fit into our universe and whose logos blend in well with our visual idea. An artist creates his own world on his own terms, and these posters are exactly about that. While far too many bands end up using whatever graphic that comes their way, we have always been cautious to not let anyone else speak on our behalf in that regard, since I believe that graphical art is as important an element in a band as a song or a lyric. These posters -behind which lay many days and nights of work- are a result of this approach, and it feels good to have them available now in this noble large scale format for those who appreciate such things as much as I do." 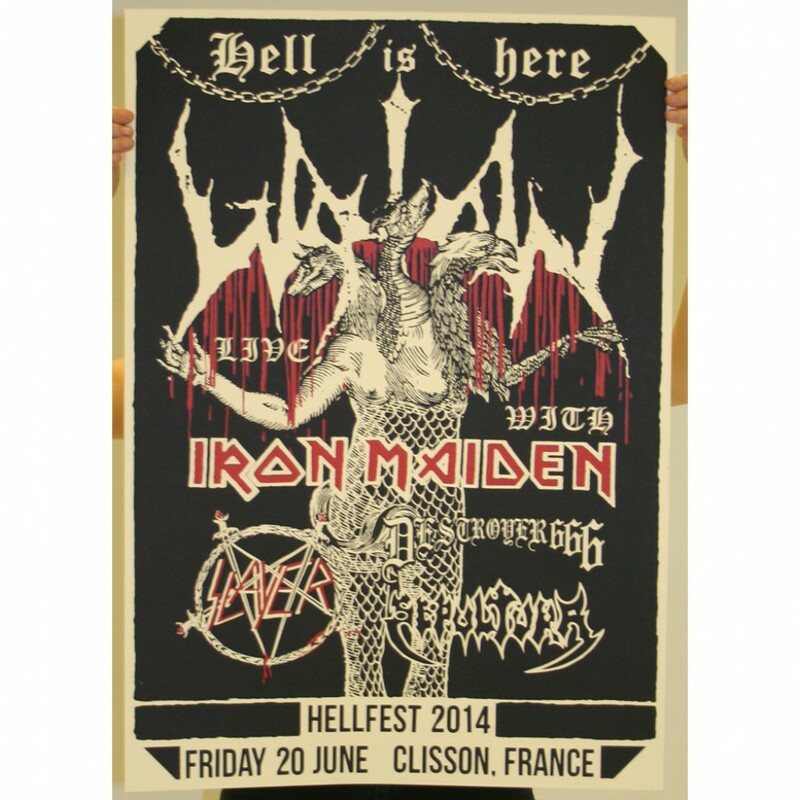 Erik comments on poster 4/10: "Although Hellfest are one of the very few festivals that pay attention to their artwork - I actually designed their official festival merchandise for 2012 - I wanted to create a separate poster announcing Watain's presence for the 2014 edition of the festival. 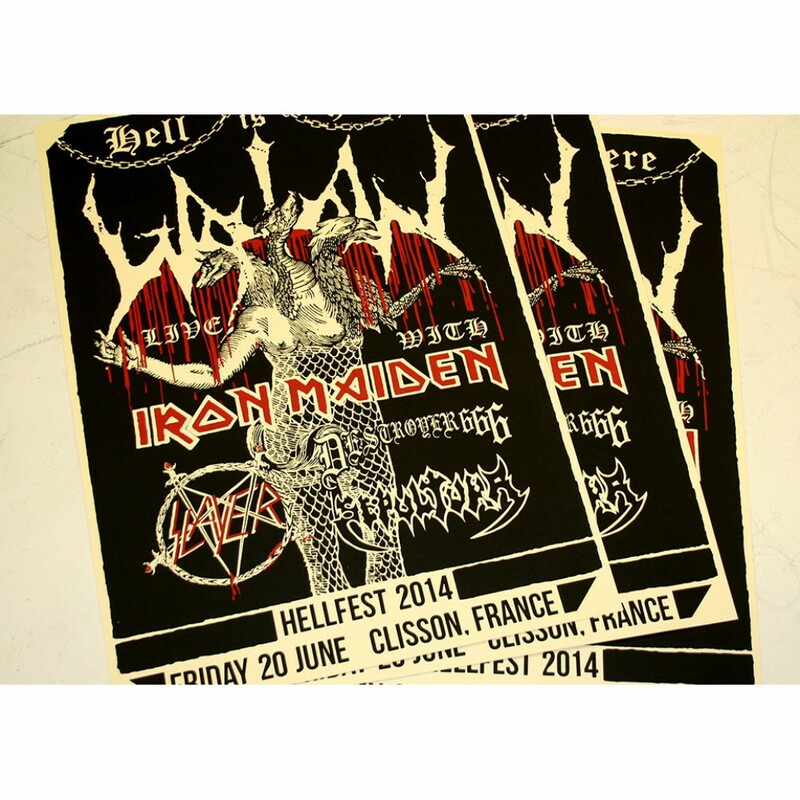 Since Hellfest is well known for being one of the "greatest summer metal parties" in Europe, I wanted to make something in a style completely opposite to that, a graphical "stake in the cake" if you wish. I visualized a Heavy Metal event in 1980s Soviet era where iron oppression and a fanatic passion were sometimes forced into a tense coalition, and the graphical language of Rock was still young, unknown and up for trial. That became the inspiration for this poster, along with the timeless power emanating from the other logos included."